We have compiled a detailed guide to the hotels and accommodations available at Kollur Mookambika Temple. Every possible precaution has been taken to ensure that we find an unbiased guide to the best luxury and budget hotels near Kollur Mookambika Temple. To book a hotel near Mookambika. If you plan to visit this temple, especially during the holiday/festival seasons, be sure to confirm your hotel reservation in Kollur Mookambika. There are many good hotels in Mookambika where you can choose to stay with luxury. 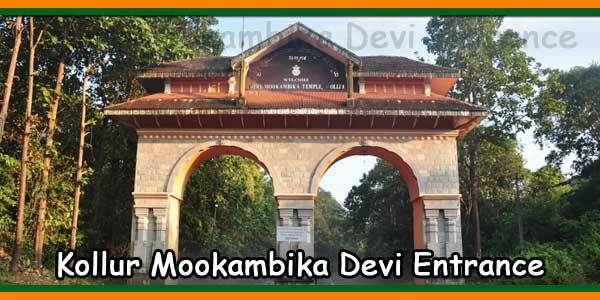 However, the Kollur Mookambika Temple Administration has created guest houses or hostels in Mookambika that offer a wide range of rooms in Mookambika. You can book them according to your needs. There are good options for all types of rooms, including non-deluxe rooms, air-conditioned rooms, deluxe rooms and shared rooms that can be rented at affordable prices. Well, the guest houses are Sowparnika Guest House, Lalithamba Guest House, Jagadambika Guest House and Matha Chatra Guest House. In addition to these guesthouses run by the Mookambika temple administration, there are many good hotels in Mookambika, as well as hotels in Kollur available for accommodation. If you’re looking for hotels in Kollur Mookambika or hotels near Mookambika Temple, you’ll find plenty of popular accommodations in Mookambika. Popular options include Kairali Residence, Mookambika Palace, Shri Ratna Guest House and many others. The sooner you book a hotel, the easier and cheaper it will be to have a room. 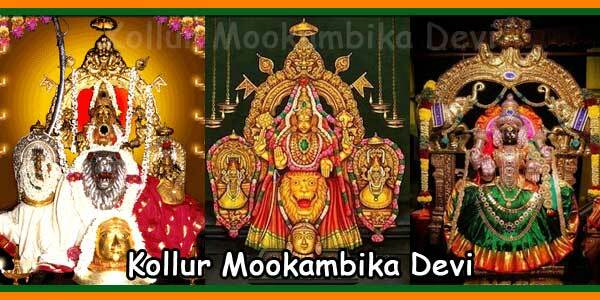 It is very important to book the hotel in Kollur Mookambika in advance, as it is an important tourist spot in Kollur, especially during festivals held in the temple. If you book a hotel in advance or in advance, you will certainly benefit from the many room options available. In addition, it will give you peace of mind, knowing that there will be a room ready for you upon your arrival in Kollur after an exhausting journey. You may want to visit the Mookambika temple at some point, perhaps during Navaratri or Ratha Yatra. In this case, you will need to book in advance to avoid committing yourself to anything. Best hotels in Kollur Mookambika Temple like Kairali Residency, Jyothis Residency or Hamilton Residency even offer discounts on early booking. You can enjoy this advantage of discounts on early bookings like free night deals, meal deals, single traveler discounts or room upgrade deals. All these things could slash the entire cost of your holiday. If you have a final plan to visit Kollur Mookambika temple on a particular time, then it won’t be wise if you leave everything for the last minute. Good hotels in Mookambika get booked very early. Thus, it could be risky if you book Mookambika temple Kollur hotels one day or two before, particularly during the peak seasons when rooms are snatched very quickly. Moreover, there won’t be any guarantee that hotels in Kollur Mookambika will drop their rates even during the off-peak times. Thus, if you really want to have peace of mind by knowing that you have a hotel room booked in Kollur, then you probably should book in advance. You can easily go to hotels in Mookambika online booking and book a room as per your choice and budget. All the hotels in the guide are situated near to Mookambika Temple. Good hotels in Mookambika offer exclusive services such air condition, parking, wake-up call, quality room service and many other things. 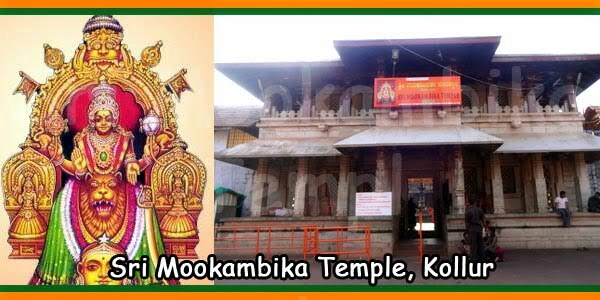 Well, the administration of Kollur Mookambika Temple renders free meals in the premises of the temple at 12.00 Noon and 8.00 PM to all devotees who wish to eat. 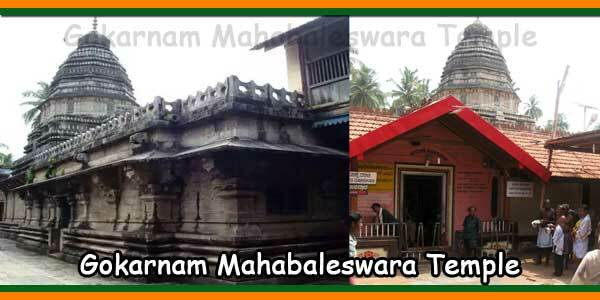 However, there are many numbers of small vegetarian restaurants available out the Mookambika temple complex. The cuisines are mostly South Indian. You will get good restaurant options near the hotels in Mookambika. If you want to experience a peaceful trip to this famous temple, then hotel booking at Kollur Mookambika in advance is the must. Hotels will even help to book cabs in Mookambika and help you visit sites nearby. Kairali Residency is one of the best hotels in Kollur near Mookambika. This hotel was established with the main purpose to render economical and hygienic accommodation to all the devotees and pilgrims of Kollur Shri Mookambika Temple. The hotel is located in Kollur and is only a stone throw distance away from the Mookambika Temple. Being one among the best hotels, they render double, single, three, four and five bedrooms without and with air conditioning facility. Kairali Residency strives to assure that your stay will be the most luxurious with nearly all amenities within budget. With the goal to pamper its customers to a thrilling experience, Kairali Residency features tons of services that include round the clock hot water, generator backup, additional beds, car parking, room service, daily housekeeping, doctor on call, as well as 24hour security. Kairali Residency can be reached easily as it is situated near to the Hubli Airport and Bajpe Airport. Moreover, the nearest railway station is the Talguppa Railway Station. The hotel has grown to become the perfect place for travellers as well as businessmen to feel at home in the city. As per the reviews, Kairali Residency is one among the pursued hotels in Udupi. This hotel operates all throughout the week. It caters to the convenience of its guest and makes several methods of payment available to ease out the process of payment such as Cash. Kairali Residency is even classified as the point of disembarkation to resort while in need of 1 Star Hotels. If you are looking to satiate your cravings, the in-house restaurant of this hotel is where you can select to dine-in as well as order food online at the single click of a button. While in the city, make sure to enjoy a stay in Kollur Mookambika here as it is considered to be one of the best hotels in Mookambika Kollur near the temple. 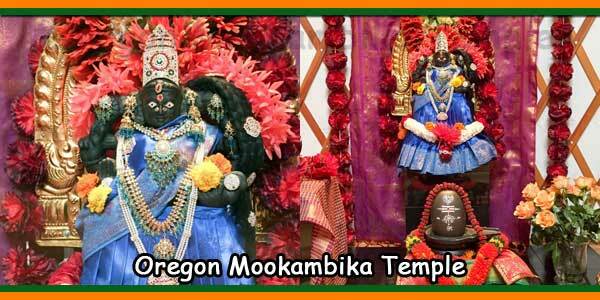 You can even perform pooja at Mookambika temple on time by taking the help of hotel staff. If you want to stay in Kollur Mookambika in a luxurious comfortable budget hotel, then Mahalakshmi Residency could be a good option for you. The hotel is situated in Kollur, just next to Mookambika Temple. The hotel takes pride for the convenience of the location, cozy facilities and services rendered by its staffs. This Residency is built keeping in mind, the particular needs of tourists who travel to kollur. Its well-maintained and well-furnished rooms render a restful or peaceful stay for visitors travelling long distances. Mahalakshmi Residency has in total sixty five air-conditioned rooms, with distinctive kinds of rooms for suiting the requirements of their guests. There are forty eightPremium rooms with soothing, restful and simple design with beautiful color on the walls. It could be of great value for one’s budget. Moreover, seventeen rooms are Premium Plus and these are well-furnished with soothing colored walls and sophisticated décor. These rooms are too spacious to accommodate two adults and one child on a King Size bed. Mahalakshmi Residency even nestles a multi-cuisine vegetarian restaurant which serves delectable foods. The hotel offers sufficient parking facility for serving every room, with quick access to the main road. It even possesses a special Express Check-In facility which has been designed for the convenience of visitors. Apart from these, the hotel has railway and airport pick up and drop up facilities, accommodation of car driver on request, room service,24 hour hot water, and high-speed internet as well as tons of other amenities. If you are planning to visit kollur and want to stay in one of the best Mookambika hotels, then Mahalakshmi Residency can make your visit memorable. The Hotel Mookambika Palace is listed in one of the good hotels in Mookambika. The hotel was built for rendering maximum comfort and luxury to its guests in the temple town of Kollur. All the rooms in this hotel are properly furnished as well as embellished in a minimal style that permits an ideal use of space. In addition to all these, they are decorated with pleasant and warm colors that create a pleasing welcome ambiance for its visitors. Mookambika Palace is an affordable property situated in the Udupi city, near to the Mangalore International Airport. The hotel is located at a reachable distance from the Baindur Bus Stop and Baindur Railway Station. It is even just some minutes away from the Kollur Mookambika Temple offering its customers the highest comfort in every possible way. Hotel Mookambika Palace has all kinds ofcozy rooms to suit every individual needs and budget. The Delux AC Room charges Rs. 1799 per day. These strikingly furnished AC rooms are embellished in soft tones that create a distinctive yet cozy ambience. Well, the Premium AC rooms are complete in every respect, with more to render than usual. These rooms are sophistically fitted with all requisites for a luxurious and comfortable stay, charging Rs. 2350 per day. They reflect sumptuous improvement at its best. There is even three-bed Premium AC Room for the ones who wants to be in a perfect fusion of luxury and comfort. These air-conditioned rooms offer a perfect ambience for restful and cozy stopover with their classy touch, no matter whether your journey is of business or pleasure. However, these rooms charge Rs. 2799 per day and the four-bed ones are available for Rs. 3450 per day. Most significantly, the rates of room are subject not to change during festival and special occasion. Well, the other amenities that Mookambika Palace offers include wake up call services, laundry services, parking facility, RO water purifier, 24hours Power back-up, fax and Xerox, WiFi facility, smoke detectors and alarms in common areas, 8 passenger lift and others. Among these various facilities, the hotel even serves a terrace and on-site dining. Jyothis Residency is situated in Kollur that is popular for Shri Mookambika temple and it can even be considered as one of the good hotels in Kollur. Visitors can select their accommodation in this hotel according to their requirements and budget. Well, the hotel is a perfect gateway which renders fine mélange of comfort as well as opulence at a reasonable rate. It is located at a distance of about 140 km from Mangalore International Airport and nearly 30 km from the Byndoor Railway Station that makes it easier for the visitors to reach. Pretty much elegant and beautiful property offers services such as front desk and many others. More significantly, the multi-cuisine restaurant of Jyothis Residency possesses an ideal setting where visitors could enjoy delectable Chinese, regional as well as Continental dishes. The hotel even has banqueting and conferencing spaces that are perfect to organize a business as well as social events. The rooms are sumptuous, well-equipped with sophisticated furniture and luxurious interiors which gives a feeling of elegant living. However, the hotel provides necessary amenities such as room service and other things. It even possesses well-maintained attached washrooms that are fitted with necessary toiletries. With well-trained and highly motivated staffs, Jyothis Residency renders outstandingly personalized, attended as well as warm service. At this hotel, tradition, prestige and tradition are merged with hospitality that delivers careful attentive to the needs of the visitors. Their mission is to make their guest feel at home, assuring the effectiveness of the best service and a special travelling experience. The hotel has the best stay for their guests with luxurious Suites with state-of-the-art of the facilities which no other hotel can offer. It has Jyothis Royal Suites which could make one feel comfortable. In addition, there are Deluxe Double, Executive Suit and Premium Double which suit everyone’s preferences. Jyothis Residency has total 70 rooms which can accommodate a good number of people. It is the perfect base as one of the good hotels near Mookambika temple to have a peaceful visit to Shri Mookambika Temple and even to enjoy with family and friends. The hotel offers authoritative cuisines with quality service. The entire team of Jyothis Residency is dedicated and committed to assure that you can really be yourself. If you want to experience the best hospitality in the heart of the Temple town, then Jyothis Residency is the one for you. Abimon Residency is an International Luxury boutique hotel which is currently equivalent to the 5-Star boutique hotels that are based on the philosophy of Western design and modern European styling having neat lines along with minimalist interiors. With the elements of chic design and trend setting concepts merged with personalized hospitality and signature service, the hotels enable its guest to have an unforgettable experience. Abimon Residency has passed a meticulous process which meets quality standards, tested annually for consistent eligibility under Deluxe Collection. Well, the hotel is close to Kollur Mookambika Temple, at a walk-able distance of about 200m. No matter whether you are newlywed traveling on a romantic gateway, VVIP traveling for pleasure or a family visiting Mookambika temple as a pilgrimage visit, it is assured to get flexibility, luxury as well as comfort at the Abimon Residency. Accommodation in Mookambika at this hotel ranges from top class to international levels. The name Abimon Residency International Luxury Boutique has been given to depict the luxurious residential style of all rooms and their balconies offer a lush green view of Mountain. All the rooms are fitted with premium luxurious amenities including the finest mattresses, fine linen, fluffy-soft sheets, toiletries, rain showerheads as well as body jets with vanity sinks. Other modern amenities rendered by the hotel like LED flat screen TVs, high speed internet connectivity as well as coffeemakers would help visitors in conducting business from their in-room functional writing desks. Abimon Residency has luxurious room options like Executive Premium Deluxe A/C room that charges Rs. 1500 per days on non-peak days for 2 adults and 1 child and the Family Premium Deluxe A/C room for Rs. 25000 per day for 4 adults and 2 children. The Limited Deluxe A/C room charges Rs. 3000 per day for 6 adults and 3 children. There is even Corporate Deluxe A/C room that charges Rs. 4000 per day for 10 adults and 5 children. Each room is well-fitted with cozy things and has simplistic unique ambience, from carpeting and beautiful floor tiles to remote control LED color strip lights in the ceiling and tropical ceiling fans. All the Premium Deluxe rooms possess balcony with an alluring view of amazing Western Ghats Mountain as well as view of green forest. Abimon Residency even has landscape with fountain, exclusively secured open and covered cap parking area. While looking for Koolur Mookambika hotels, you will come across the name of this 3-Star rated hotel, Hamilton Residency. The hotel is located in Perumpavur and features 3-star accommodation with the facility of on-site dining. The hotel offers tons of exclusive facilities that would possibly be sufficient to enjoy one’s trip to kollur amazingly. It has free WiFi availability as well as on-site parking. All the units in this hotel are fitted with a flat-screen TV. However, the room types include double room with one extra-large double bed, Budget Single room with one single bed, Deluxe Quadruple room with two single beds and one extra-large double bed, Deluxe Triple room with one double bed and one extra-large double bed, Deluxe Double room with one extra-large double bed and Deluxe Quadruple Room with one single bed and one extra-large double bed. Each room at Hamilton Residency possesses air conditioner and one desk. Guests or visitors at the accommodation will be able to enjoy even an American breakfast. The tons of facilities and services rendered at Hamilton Residency include an ATM machine, a business center, newspapers, and breakfast in the room, luggage storage, and private check-in and out, lockers, 24 hours front desk, cleaning services, free Wi-Fi, free parking and many others. Well, Cochin is about 26 km from the Hamilton Residency and its nearest airport is the Kochi International Airport that is 11 km away from the property. Shri Ratna Guest House is situated on Kollur that is the heart of the financial, business as well as the shopping districts of Mangalore. It is even connected conveniently to the important tourists’ spots. This hotel renders the rooms to its guests with some basic features which aim at making their life easier. No matter whether you need laundry service or clock room service, you can avail any of the facilities. The wide numbers of amenities offered by the hotel include travel desk, a doctor on call, front desk, locker facilities, parking, hot and cold water, along with personal CCTVs, One-stop shop, and telephones with direct dialing ISD/STD feature. The entire Shri Ratna Guest house is properly lit and lively at nights that would let one have a beautiful view from the respective rooms. The hotel has been in this business for many years and their main mission always has been to satisfy their customer. Recently, they have even arranged bus facility for their guests where they could trip to all nearby destinations or spots and enjoy the stay to the fullest. You can avail AC Room at Shri Ratna Guest House at Rs. 7,389 per night. Swayambhoo Guest House is acozy luxurious budget-friendly hotel situated in Kollur. The hotel provides comfortable facilities to all its guests. It has been built to meet the specific needs of customers traveling to Kollur. The hotel has well-maintained and well-furnished rooms to render a restful stay to its customers. The property possesses a total of 43 rooms of distinctive kinds for suiting the requirements of the customer. There is sufficient parking facility for serving every room in the hotel, with fast access to the main road. The hotel even has a special Express Check-in facility which has been formulated for the convenience of visitors. The Swayambhoo Guest House has railway and airport pickup and drops facilities, 24hours hot water, hi-speed internet, car driver on request, room service and tons of other facilities. If you are booking hotels in Kollur Mookambika, then this hotel can make your trip more memorable. Swayambhoo Guest House welcomes its guest warmly and invites to enjoy and relax the classic comfort of their hotel. They make sure to deliver you the best experience and let you create long-lasting memories. All the rooms in this hotel are clean, inviting and comfortable. Moreover, its recreational offerings are stimulating, energizing and relaxing. The hotel has 43 Premium rooms which have soothing, restful and simple design. They have charming color on the walls and well-fitted, making them worthy of your budget. You will get all facilities inside the room which a leisure traveler or discerning business requires. The rooms render plenty of natural light which filters the rooms. They have amenities such as attached bathroom with 24hours cold and hot water, 24hour room service, LED TV with satellite connection and Free Wi-Fi is available everywhere in the hotel as well as its surrounds. Swayambhoo Guest House has four suites and 17 AC Deluxe rooms and 5 non-AC Deluxe rooms that are comfortable, spacious and clean. These rooms even have double bed and wardrobe. However, the luxury rooms include double bedroom and deluxe room with AC. The family rooms are 17 in total and are well-equipped with big beds that can accommodate three, four, five and six beds. Thus, if you want to be satisfied staying in one of the hotels or lodges in Mookambika comfortably with lots of amenities, then this hotel can be a good place to stay in. Mayura Guest House can be a decent option of good hotels in Mookambika. It can be literally the best choice for those who are visiting Kollur, the small temple town in Kundapur Talukin, Udupi district of Karnataka. Kollur is basically located nearly 38 km from Kundapurtown and popular for Shri Mookambika temple at Hindu pilgrim center. The hotel is situated at a walkable distance from Mookambika temple and can be easily accessed from bus stand. This guest house is an ideal merger of affluent luxury and reasonable rate. Mayura Guest house offers wide numbers of amenities which even include own restaurant service that serves various types of dishes. Well, the other amenities include room service, internet access, parking facility, front desk, daily housekeeping, hot and cold water, non-smoking rooms and 24 hour security. The hotel has Deluxe AC rooms that charge about Rs. 1,663 per night with breakfast and Non AC rooms with only accommodation charge Rs. 2,541 for per night. All the rooms are well-equipped and clean. You will get everything as per your choice in Mayura Guest House. Shwetha Tourist Home is one of the good hotels in Mookambika that is situated at about 0.5 km from the Kollur Bus Stand and nearly 0.1 km from the Kollur Mookambika Temple. The resort renders 24-hour front desk service. It is a two-storied resort which has all total 15 rooms. Each of the rooms is offered with wardrobe, attached washroom with cold and hot running water, toiletries and wakeup calls. Other amenities that guest could avail are facilities of luggage storage, travel counter and fireplace in the lobby. In addition to it, Shwetha Tourist Home offers medical assistance and laundry service. The resort premises even have a garden. Moreover, this resort renders 24 hours of room service to its guests. Shwetha Tourist Home is nearly 28 km from the Bijoor Railway Station and about 130 km from the Mangaluru International Airport. The check-in and check-out time is 12:00 pm and 12:00 am respectively. The Non AC room with only accommodation charges Rs. 900 per night while Non Ac room with accommodation and free breakfast charge Rs. 972 per night. Well, the prepayment and cancellation policies will vary as per the room types. 1) What types of accommodations are available at Kollur? 2) Do we need to book accommodation at Mookambika in advance? 3) Do you have online booking facility? 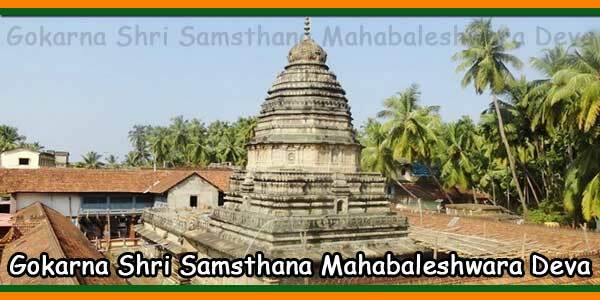 Yes, we have online booking facility for hotels in Kollur Mookambika Temple. 4) What if we cancel our room booking, Do we get full refund? Different hotels have different cancellation policy. Some lodges like Kairali Residency allow full refund. 5) What are the crowded seasons at Mookambika? Christmas Holidays, Onam Holidays, Navarathri and summer holidays are crowded season at Mookambika. 6) What is the check-in and checkout time for lodges in Mookambika? Different lodges have different check in and checkout time. Most of the lodges follow 12 to 12 timing.